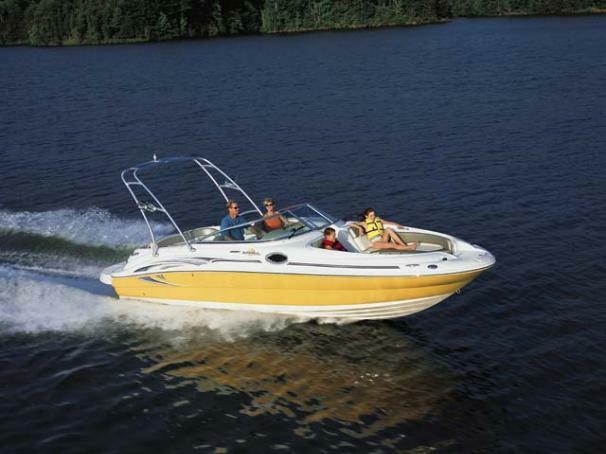 Boat Description Invite the neighbors - there`s room for a crowd on this spacious, 240 Sundeck. Whether enjoying the cushiony comfort of one of the forward sun loungers or taking a dip from the extended swim platform aft, both you and your guests will have plenty of fun. Especially and extra storage below. when you fire up the 260-horsepower, 5.0L MPI Bravo III MCM stern drive engine. Life on the water doesn`t get much better than this.